Look no further you have found the best movers! They are very efficient and pay great attention to detail. More than worth the money when moving countries. Mike is a good leader and coordinates his team on the ground with ease and has excellent customer presence. Kathleen is a great sales rep and goes above and beyond for your move. I moved across the continent and had a great experience working with Kim. She kept me informed every step of the way and was always there to answer any questions I had. The pack and move went smoothly, and everyone was very professional. I recommend this company to others. The crew were on time, they did their job which is such a difficult and labor intensive job while also having a great sense of humor! There was no damage to my furniture or my old/new home! The 3 movers from Taylor moving were fantastic. They were proficient, professional and courteous. The move went very smooth and I couldn’t be happier with the entire process from booking it to the end of the move. most of my things were boxed or in totes and anything loose (ie: clothing, little odds and ends) were boxed up. They kept within the time frame and no damages or wasted time was observed. Overall, I would highly recommend them and will definitely use them in the future if needed. We hired this company because of the positive reviews and because it was local. We were very happy with the services they provided. We had them do some of our packing for us. They were efficient and listened well to our instructions of what to pack up. The only downside is how much paper they use...much more packing paper than I would have used and I found it a bit wasteful. But I suppose they are being cautious. The moving team was awesome. They brought four guys and they all worked extremely hard, but just a few short breaks. They had excellent communication skills and placed almost everything exactly where asked. They were very patient with me as I had asked for them to wait to place furniture until I could put felt pads on the bottom. They treated both the old and the new home with respect. Matt and Randy were really nice guys and total pros. I was very anxious about the customs procedures for moving back to Ontario from the USA, but it could not have been easier nor smoother. Thanks a million! From start to finish- estimate to move day- we were extremely impressed with Taylor moving company. The staff was professional, respectful and worked efficiently to get the job done. I would highly recommend them to anyone! Pete and I just wanted to send you and the others at Taylor to say what a pleasure it was working with Ricardo, Shane and Brandon yesterday. Despite the pouring rain, they were chipper and said they've worked in worse and the rain felt good, so sweet! Great communications all day long, super efficient and we're great looking after some of my grandmothers furniture, even brought me into truck to show how they were wrapping. Moving is stressful but from day one with yourself explaining all, the gentleman giving me packing tips when we picked up the boxes and now Ricardo's team on move day has just been amazing. We would love to have same team on the flip side on August 28th if possible. Thanks again for making moving day a non-stress day! I always thought it was so exaggerated when I read that moving (especially international moves) was listed among the “Top 5 Most Stressful Life Events”…until I faced the logistics of a move overseas. Luckily, that stress was short-lived for us once we involved Taylor Moving and Storage, who were – I can earnestly say - perfect from start to finish. Before we found out about Taylor M&S, we were having a lot of trouble with other moving companies that we had contacted for quotes. We heard inconsistent information, had prices mysteriously double, were quoted outrageous shipping times (up to one year! ), and had companies simply stop replying. After about a month of this we thought we had found a company (Orbit International) that would…suffice. We weren’t impressed with them (they would frequently call us by other customer names, they would have to be reminded of our destination, and they would often slip in “unforeseen” charges), but they were one of the few viable options, so were all ready to move forward. At the last second, however, we thought to get one final quote from another company - just as a precaution - and that’s where Matt Czernikiewicz from Taylor Moving and Storage came in and changed everything. He was prompt and professional, asking a lot of great questions and quickly setting up a house visit to offer an accurate quote. We thought – right before he arrived – that there was no way we were going to change companies so close to signing with Orbit, but after only a few minutes talking to Matt in person, it became clear that he REALLY knew what he was doing and that he had our best interests in mind. Even after the walkthrough Matt stayed over an hour with us to answer every single question we had (and we had a lot of them – sorry Matt!). He realized very quickly our particular needs for our move and didn’t try to oversell or pressure us into anything we weren’t comfortable with. What I also appreciated (that was sorely lacking from other companies) was that he didn’t promise any services or share any information that he wasn’t 100% certain about (so many other companies – especially Orbit – would agree to things up front and then call us days or months later to say ‘actually, we can’t offer you that service/price/etc. after all’). Because our situation was quite unique it required him to look into certain details and I liked that he was upfront about getting back to us the next day after talking with the overseas partners (and sure thing, he emailed the very next morning). He also took the time to get to know us – not just our budget and inventory. After that meeting he stayed in close contact and offered a VERY reasonable quote for the move – both in terms of the price and the transit time. Now enters Linda Christie. You might ask: “What’s better than one representative who is attentive, friendly, and knowledgeable?” Two of them! Linda helped significantly with the administrative side of the move and between Matt and Linda, we probably have 150+ emails between us. We had a ton of questions about the logistics of the move and the insurance process, and both Linda and Matt would respond promptly (often within 5 minutes!) and in great detail. We were certainly not the biggest account they were dealing with (only an lcl container rather than a 4000sqft house), but they never made us feel like we were insignificant or less important than other customers. They also put up with lots of our smaller requests and somewhat negligible questions and we appreciated that they treated every inquiry seriously and respectfully. We were able to book the exact date and time we wanted for our move and were able to arrange for brief storage at the Taylor warehouse. On move day, our assigned movers were scheduled to arrive between 8am and 9am and, sure thing, at 7:59am Bryan and John pulled into our driveway! This promptness was only the start of an immensely productive day. They got straight to work and we were really impressed with the speed AND care with which they were able to pack and secure our belongings – they had clearly done this many times before and worked well as a team. They were respectful and friendly (and quite funny!). I especially appreciated that Bryan took the extra time to reassure us throughout the process; it’s very hard to watch other people handle your things and he acknowledged that difficulty from his own experience moving and promised us that he treats every item as though it was his own (which really helped our stress levels that day!). Bryan and John did an excellent job documenting our shipment and explaining exactly what they were doing (and why) throughout the day. As they pulled out of the driveway (only 4 hours later! ), we knew that our shipment was in good hands. Finally, we were also impressed with the overseas partner that Taylor had connected us with at our destination. Often the local movers are great, but the foreign receiver has less than stellar reviews or communication. Mona from Team Relocations was another welcome addition to this group. Just like Linda, she was quick to respond with detailed answers for quite complicated questions (about customs, transit times, etc.). Overall, Taylor Moving and Storage was the perfect choice for our move. I honesty can’t think of how the process could have gone more smoothly. Thank you Matt, Linda, Bryan, and John for your hard work (and for your continued support) on our move. I could go on and on about this great experience, but I just need to reaffirm that I HIGHLY recommend this company for your move. I’ve told all of my family, friends, and colleagues that they would be in excellent hands with Taylor. - Andrew M.
This is the second time we used Taylor in our move and it is the second tie that the move team was actually quote awesome. The final bill was a pleasant surprised because the move team was much quicker than expected. 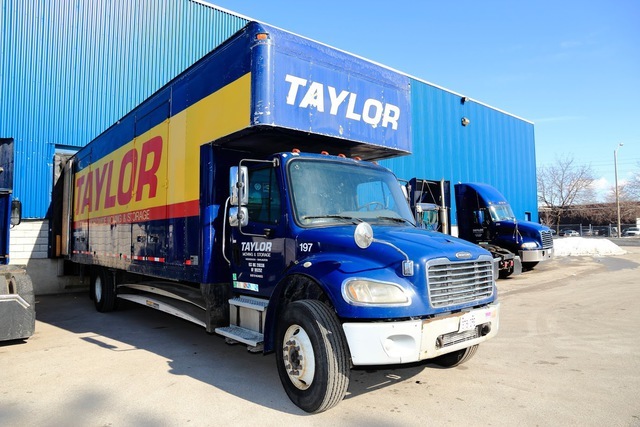 Taylor Moving and Storage has been moving households to and from anywhere in the world since 1959. Our trained and professional staff can assist with packing, unpacking, crating, moving and shipping. Our movers carefully handle furniture, appliances and every other aspect of your move. 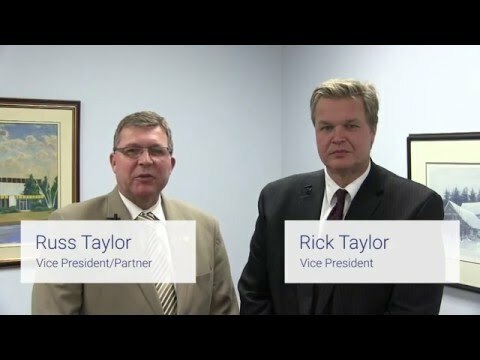 We are family-owned and would welcome a chance to show you why "Taylor Takes Care".